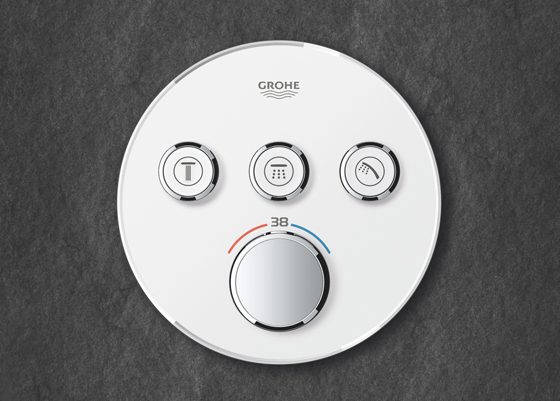 Innovative and design-led sanitaryware manufacturer GROHE's new SmartControl system controls three separate spray functions with an exclusive turn feature, putting the user in full control of their shower. Mornings can be difficult to navigate. Waking bleary eyed, our first destination is invariably, the bathroom. It needs to be a calm, soothing environment; purging out all the stress and tension of the previous 24-hours and easing us into the day with little drama or complication. 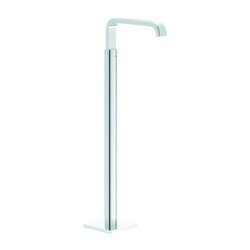 As Europe’s biggest sanitaryware manufacturer, Grohe has been creating simple, yet stunningly stylish design solutions for over a century. With innovative and refreshing product lines helping customers unwind or revitalise, and hitting the right spot with consumers looking to create a spa-like atmosphere in their own home. 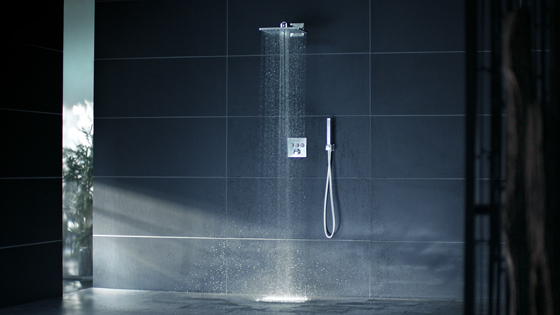 It is with this quest for a relaxed, effortless and intuitive cleansing experience, which Grohe present the SmartControl shower system. 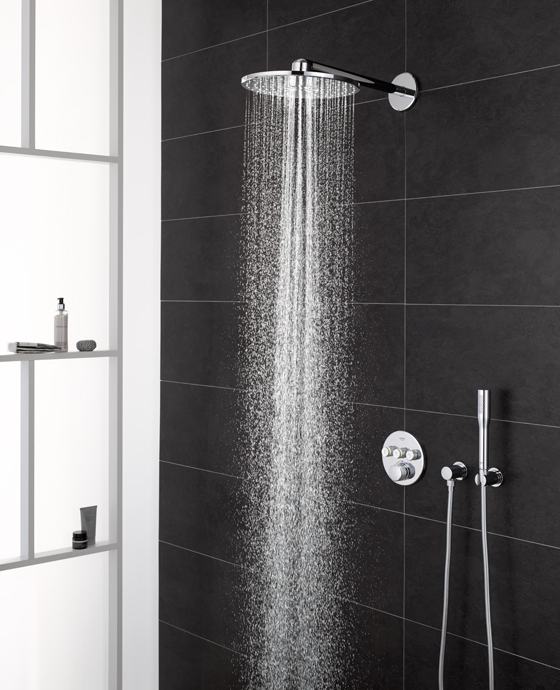 The majority of showers come with their own flow-chart of instructions, learnt only by trial and error throughout the first few uncomfortable weeks of use. 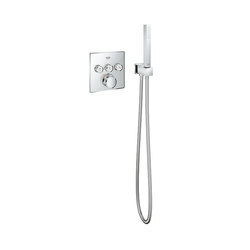 With years of experience in my own shower, I know there is only one usable setting, and it can only be achieved with the most deft and nimble of fingers. It never starts off at the same temperature and sometimes never really changes, no matter what the dial points to. 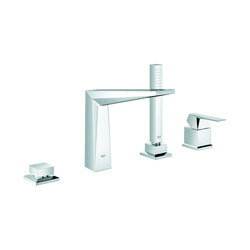 The SmartControl system, however, is different. There’s no need to keep turning and turning until finally getting it right. 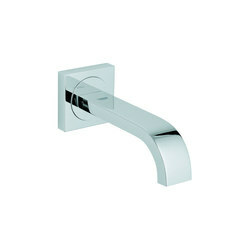 SmartControl’s mantra, ‘Push - Turn - Shower’, reflects the system’s unrivalled combination of simplicity and functionality. The Grohtherm SmartControl thermostat unit controls the showering experience with the pinpoint accuracy of a military operation. 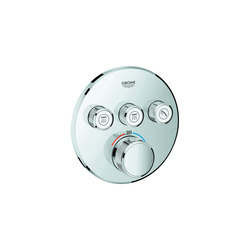 Three chrome-plated and textured control dials each relate to a different function, PureRain Spray, ActiveRain Spray and a Euphoria handshower spray. 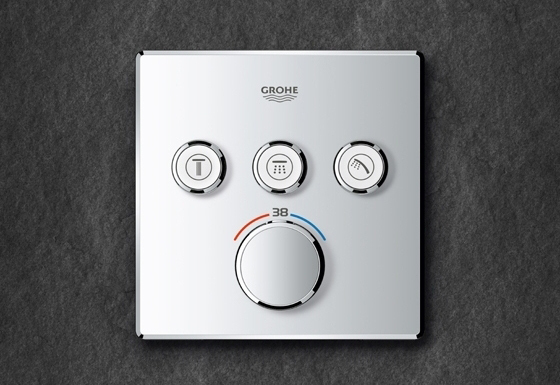 With Grohtherm SmartControl’s innovative and exclusive ‘Turn’ feature, the volume of each function can be controlled precisely with one smooth, reassuringly-weighted button. 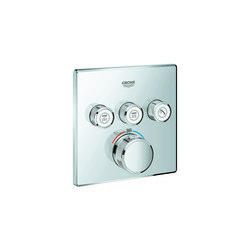 Sitting underneath these three, is the larger temperature dial, holding control over all three functions and offering similar levels of precise control. 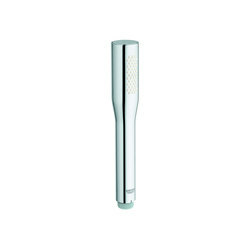 Utilising the outer, Speed-Clean nozzles of the shower head, the PureRain Spray function presents a softer, refreshing experience. Meanwhile the more intense ActiveRain function offers a focused spray to wash out shampoo and revitalise. 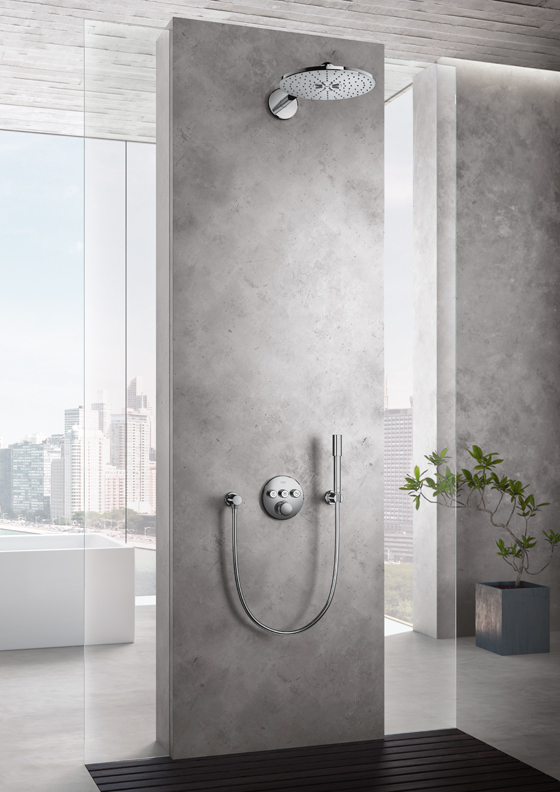 Thirdly, the handshower spray option provides an even more intuitive experience, with an additional volume control on the Grohe ProGrip handle, meaning there’s no need to interrupt showering pleasure to adjust. All three dials feature clear symbols, increasing the system’s simplicity and ease-of-use, for homeowners and first-time users alike, but also making the Grohtherm SmartControl system ideal for use in the hospitality sector. 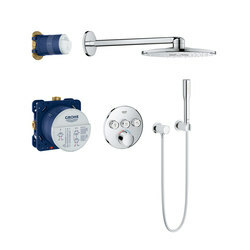 Due to the simple yet segregated control dials, all three functions can both be individually and simultaneously controlled, giving users the capability of crafting their own specific showering experience. Not only is it simple and intuitive to create the perfect combination, it’s easy to keep it that way. Grohtherm SmartControl’s Turbostat technology reacts instantly to changes in water pressure and keeps the temperature consistent throughout. 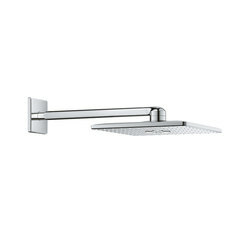 The system also ensures the configured flow rate is saved for the next shower, providing a perfect experience every time. 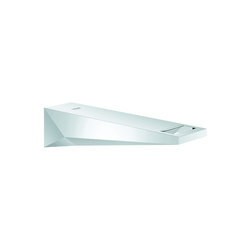 Among the Grohtherm SmartControl product line, are two ‘Concealed’ systems. 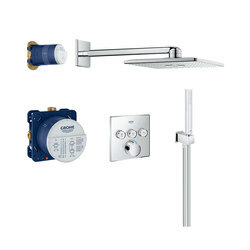 Both are equipped with the Grohtherm SmartControl thermostat unit. 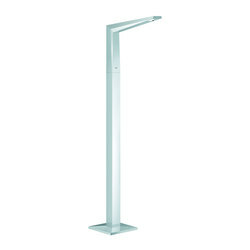 The unit features a concealed body, sitting flush to the wall; hiding away the shower rail and leaving the user free to admire their immaculate tilecraft. 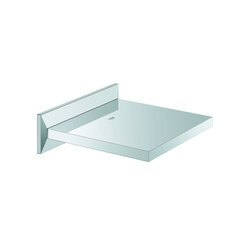 The design notoriety of the concealed shower system is complemented by SmartControl products, offering clean, minimalist lines with minimal visual noise. 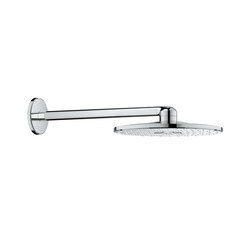 With both chrome-plated and moon white shower head spray-plate options, and all three appliances - shower head, control unit and handshower spray - available in either round or square versions, the SmartControl Concealed system can complement any sanitaryware design style. 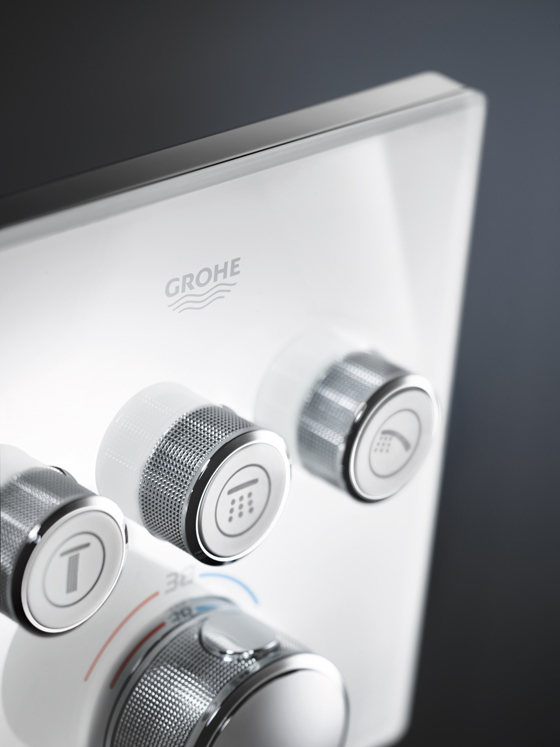 The clean design of the Concealed system and intuitive functions of SmartControl, mean Grohe’s exclusive product line creates a relaxed, calming atmosphere and experience, either at home, hotel or anywhere else. 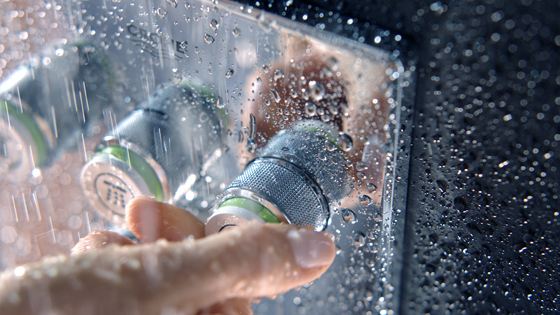 The perfect day begins with the perfect shower.